BMW is likely already preparing to introduce a four-door version of the new 8 Series shortly after the coupe and convertible models go on sale, which would be great if they didn’t already sell five other stylish luxury sedans or five stylish luxury SUVs. We really shouldn’t be surprised by this classic BMW move. 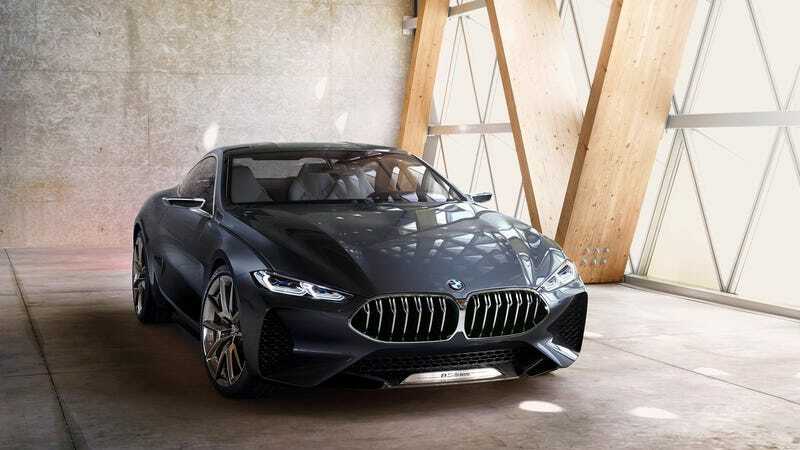 The 8 Series is already a replacement for the 6 Series and now presumably the 6 Series Gran Coupe, which was the four-door version of the sportier two-door version of the existing four-door 5 Series, so it’s only natural we’d get an 8 Series Gran Coupe eventually. I forgot to mention that the 6 Series was recently reborn essentially as just a 5 Series hatchback. According to BMW Blog, the coupe will go on sale next summer, followed shortly by the convertible model, before leading up to the Gran Coupe presumably sometime in 2019. They don’t cite their sourcing, but I think we can all assume this sounds like something BMW would do. Oh, and expect some xDrive models thrown into the mix. And that’s great, I guess, for all the people who don’t want a 7 Series because their kids’ heads don’t need all that space and they want to drive something prettier. It doesn’t matter that kids often grow up, because then they just get their own awkwardly named BMWs. Whatever, though, BMW knows what it’s doing. We know what it’s doing. We should expect all involved to keep doing what they are doing. I’m not sure the 8 Series’ styling is an improvement on the dead 6 Series though, which is a shame.